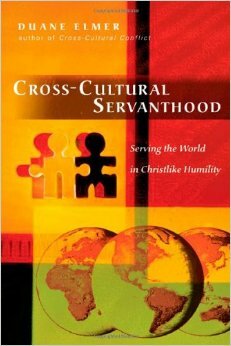 What advice would you give to those headed to cross-cultural ministry? 1. Servanthood is revealed in simple, everyday events, but it’s complex because servanthood is culturally defined-that is, serving must be sensitive to the cultural landscape while remaining true to the Scripture. 3. Good intentions are insufficient when entering another culture. We must also be equipped with the knowledge and competencies to function skillfully. 4. You can’t serve someone you do not understand. 5. If God connected with us as a servant, that becomes the way we too connect with people of this world. While it runs counter to our natural desire, we have no choice. We are never more like Jesus than when we serve others. 6. Others can’t see our motives, only our actions, which become the basis for their impression of us. In like manner, missionaries will need to learn the local cultural patterns so that their desire to serve will be seen as serving and not be misinterpreted. 7. Openness is the ability to welcome people into your presence and make them feel safe. 8. Hospitality is extending love to those we don’t know and who may be of a different ethic or cultural history. It is the idea of being gracious to all people, welcoming them into your presence and making them feel valued. 9. The most important virtue any church can embody is the virtue of hospitality. Because God has welcomed us, we are called to welcome others-and not because it is the nice and polite thing to do, but because it is the holy and just thing to do. 10. To make no effort to learn another’s language is by itself a form of rejection of people. We cannot separate ourselves from the language we speak. It is how we define ourselves and make meaning out of life. Not to know my language is not to know me. This post is part 8 in the series “Answering Vision” and is taken from the panel discussion questions from the missions conference at Vision Baptist Church in Alpharetta GA, you can begin this series here.